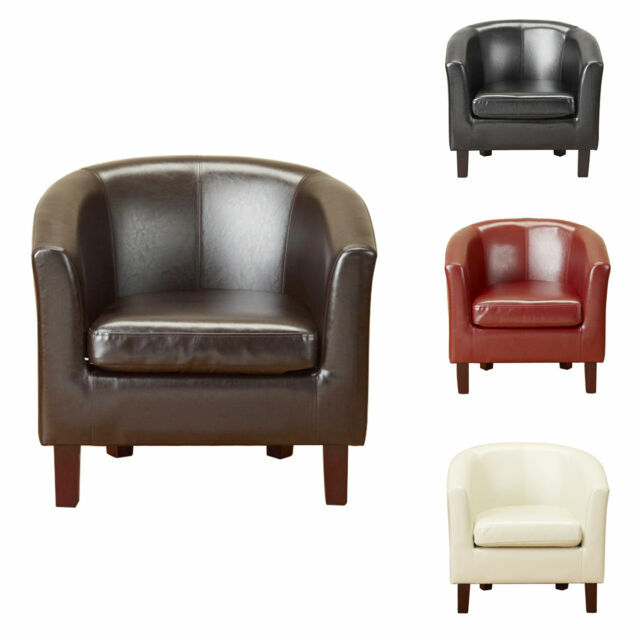 This splendid armchair is upholstered in high-quality artificial leather, providing the great durability and water resistance from spills and stains. It is easy to clean and maintain with only a soft dry cloth. First class quality chair, comfortable, easy to assemble well to be honest just screw in legs. Makes a great conservatory seating area. Would highly recommend. Very nice tub chair , very comfy , thanks been looking for a long time . Thank you. Doesn't sit very even but not bad for the price. very good chair for the price.